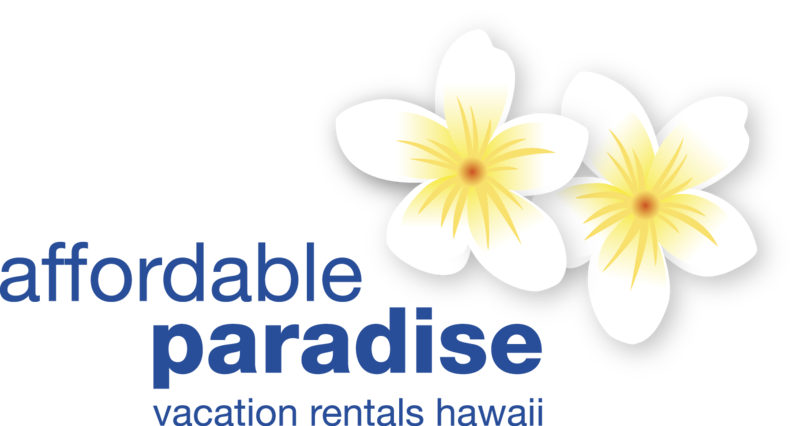 Take advantage of our vacation rental in Kailua Oahu, and enjoy a family style atmosphere where you are provided with all of the comforts of home. Whether it be barbecuing under the covered lanai, or taking a walk to our award winning beaches, there is something here for everyone. A short drive to Kailua town allows for shopping and dining, while a thirty minute drive over the Pali will take you to Honolulu. Kailua is located on the east coast of the island of Oahu. Long stretches of sand on Kailua Bay include Kailua Beach Park, a water sports hub, and Kalama Beach Park, with its gentle waves. Quiet Lanikai Beach overlooks the tiny, bird-rich Mokulua Islands. High above the beach, the Lanikai Pillbox Hike (Ka’iwa Ridge Trail) leads to old military bunkers. The weekly Kailua Farmers' Market sells local produce. Booked 4 nights with my mom and it was a great place for us to come back to too rest up after exploring all day. It's close to the beach at Kailua which is nice and less crowded than many other beaches. Plenty of good food options nearby and Barbara had beach chairs and towels for us to use which was great. We'd definitely come back! The rental was very clean. The directions were clear. The host was available . I would rent again! We were very happy with our accommodations at Auntie Barbara's. The room was clean and more than adequate and very close to the beach and town. Barbara is a very gracious and generous person who makes you feel at home. A very nice person with a clean, affordable, safe home convenient to all activities and sites on southern and eastern shores without the congestion of the larger cities. Auntie Barbara and her family went out of the way to make you feel welcome. Very friendly hostess. Room very clean and neat and quiet. The only negative is that there is no room for a pair of comfortable chairs to read in. Price is great and very convenient location. We had a great time in Kailua, with lots of things to do in the area. Way better than Waikiki. D&D's was very nice and comfortable. the D&D's Bed and Breakfast was a cute little connected studio, which offered comfort and convenience. The owners were really nice while also respecting our privacy. 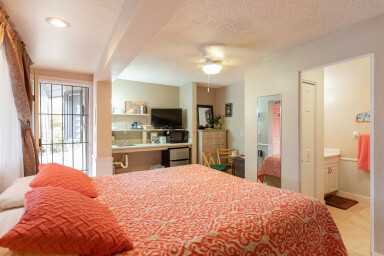 The location is a small 3-5 minute drive from Kailua Beach, a great location to swim and sun bath but if you are looking for a more touristy location, it probably isn't the best place for you. Overall we really enjoyed the hospitality here and would probably go back if we were traveling on a budget. Auntie Barbara provides a very neat and clean sleeping room, with an attached bath and modest food preparation facilities (microwave, coffee maker, mini fridge, etc. - but no sink or stove). Her larger studio is right next door, and both units tie directly to the main house - each with a private entrance. She lets her guests enjoy the beautiful back yard. A small pool adds to the nice decor (altho guests can't swim in it). That's okay, since the very beautiful Kailua beach is only a pleasant 8-minute walk away. Despite its great charm, we never saw this beach crowded. This rental is on a slightly busy street. But since the building is set back, street noise isn't an issue. The room air conditioner was a bit noisy, but it didn't stop us from sleeping. And Barbara's two very small, cute & friendly dogs are active watch dogs. Barbara hails from California, but she's lived in this town a long time. She's very pleasant and gracious; we had some delightful chats with her. While she does a nice job of respecting your privacy, she also gave us some great dining recommendations and town perspectives. If you want to spend lots of time in your room, the bigger unit might be a better fit. (As noted by others,the smaller unit doesn't have a good reading chair.) But if you want a nice room for just sleeping, watching a little TV and planning your day, this is a super choice at a thrifty price. Barbara is great. And Kailua / Lanikai, with it's great community feel and charming shopping area, was our favorite town on the entire island. Our stay at the Kalama room was great. The location is in a great neighborhood with walking distance to the beach. The bed was very comfortable and the entire place was very clean and cozy. Barbara was the ideal hostess. She was very warm and welcoming and always available to answer questions or help. She even provided beach chairs and boogie boards. Her daughter was also very sweet and friendly. We even BBQed one afternoon in her patio. Everything was perfect. A perfect room in paradise, what more could one ask for? Exactly as advertised, the Kalama Room was outstanding for our week-long stay. Absolutely clean and comfortable with Barbara an excellent host. Thank you for helping make our vacation a wonderful experience!